I'm pretty sure it's safe to say that this is my autumn uniform and it has been for a few years now. Throw on a nice pair of jeans (mine are from Reserved), a cosy knitted sweater (from H&M), some ankle boots (I picked a brown pair from Deichmann) and a huge blanket scarf (from SammyDress) - and you're good to go. This is basically the outfit that I wear the most during this time of the year, simply swapping around the sweaters or the scarves. 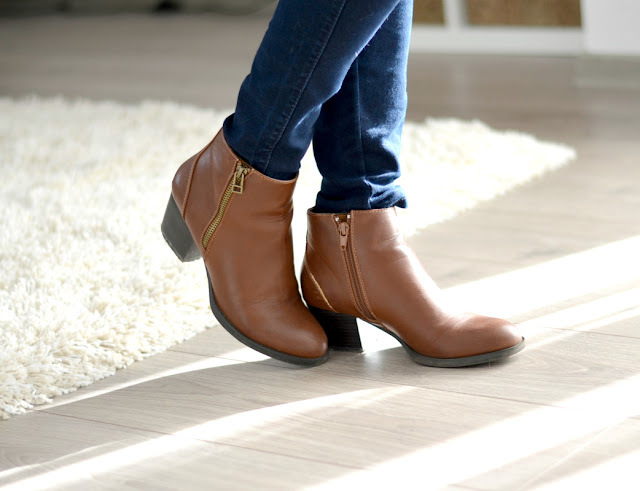 It's really easy to put together and very comfy to wear on a daily basis. The only requirements are that you follow this blog (via GFC or Bloglovin) and place a link back to it in your post. Beautiful! Love your sweater and scarf! 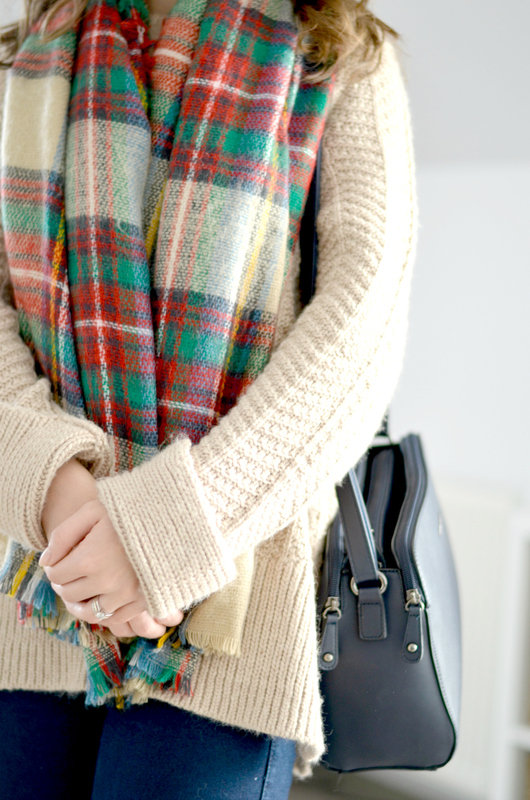 Can't wait to rock my plaid scarf again, so cute!! Yes for this whole outfit! I love that scarf! LOVE this outfit - you pull off that blanket scarf so well :) Thanks for hosting! 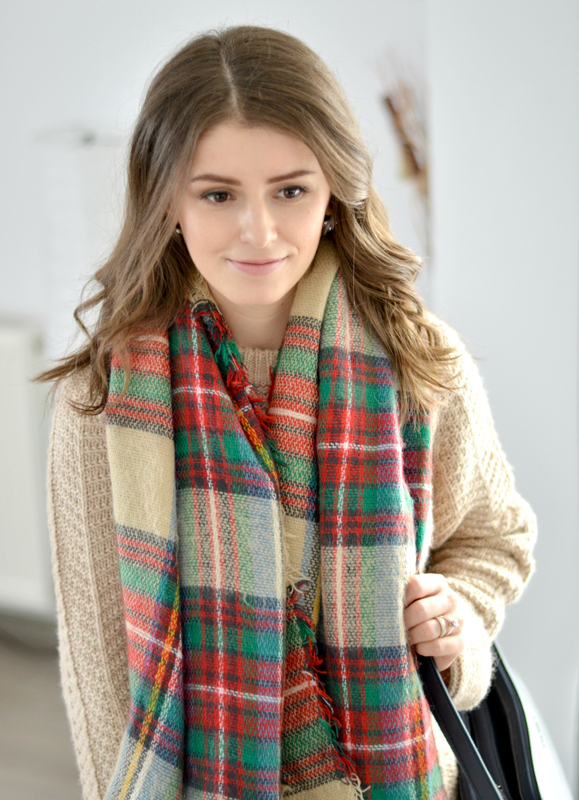 This plaid scarf is such a classic!